fiction Archives - Horror News Network - The Horror News You Need! HBO has released the first trailer for their documentary Beware the Slenderman which is set to air on the channel on January 23, 2017. 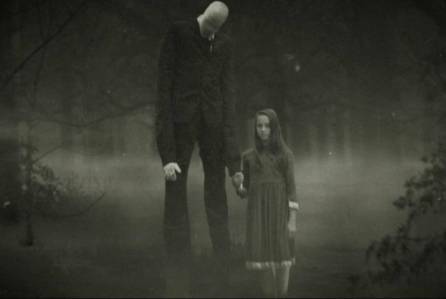 The Slenderman (or The Slender Man) is a fictional boogeyman-type character that was created in 2009 by Eric Knudsen for a contest on the internet forum Something Awful. The character is very tall and thin and wears a dark suit and has a mostly feature-less face. From Knudsen’s creation, an internet legend was born.